Choose searching criteria and set sectors range as per need. 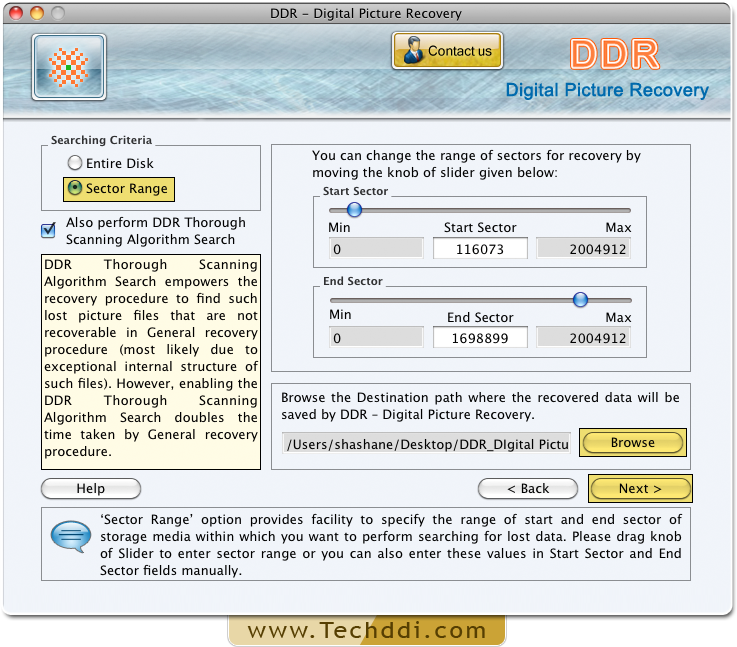 Browse destination path where you want to restore recovered data and click next to proceed. 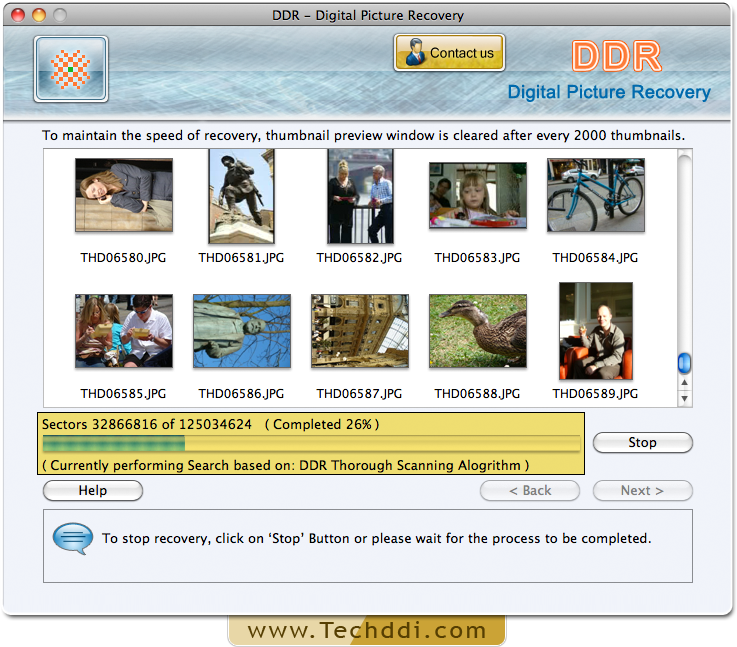 Screenshot showing current status of data search based on DDR Thorough Scanning Algorithm.